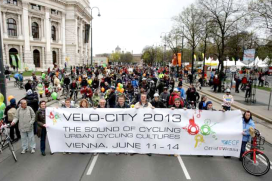 VIENNA, Austria – Earlier today Velo-city 2013 was officially inaugurated by the Mayor of Vienna, Michael Häupl. 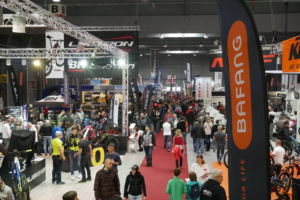 The world’s biggest bicycle-themed conference runs up to 14 June 2013. Next to various Austrian Ministers and ECF President Manfred Neun, 1,200 cycling experts, including 330 speakers are gathered in Vienna for Velo-city 2013. The modal split share of cycling in Vienna, one of the world’s leading ‘smart cities’, is to be increased from currently six to ten percent by 2015. A strong impulse towards this goal is generated by the Velo-city conference: with its motto “The Sound of Cycling – Urban Cycling Cultures”. 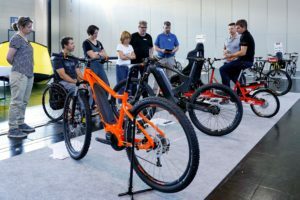 During this week, multifaceted side events and the accompanying Vienna Cycling Week will make cycling the top priority in the Austrian capital. At his opening speech Vienna Mayor Michael Häupl referred to the goal the city of Vienna has set for itself. He said: “Since we aim to increase the modal split share of cycling creative ideas and an international exchange of knowledge are essential to attain this goal. 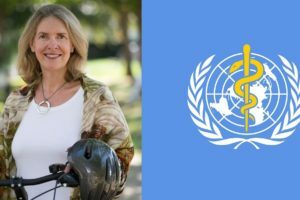 The Velo-city 2013 conference, which reflects the motto “The Sound of Cycling – Urban Cycling Cultures”, will welcome prominent speakers including Siim Kallas, Vice-President of the European Commission, Hep Monatzeder, Vice Mayor of the City of Munich, and Amanda Ngabirano, urban planner and scientist from Uganda. 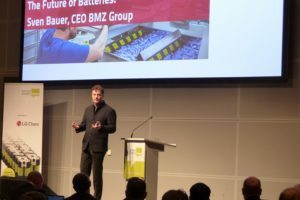 Austrian experts such as Alec Hager, managing director and spokesman of Radlobby Österreich, or Georg Hauger, scientist at Vienna University of Technology, will likewise share their know-how. Today’s inauguration ceremony was followed by the Cycling Visionary Awards. 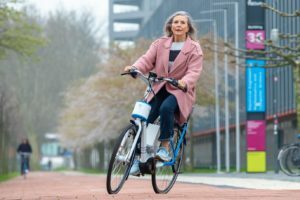 They will be handed over to 60 prize-winners from all over the world, whose project submissions convinced both 31,000 participants in the public voting procedure and a high-level jury with their innovative ideas and approaches to transport development, urban design, cycling and cycling cultures. 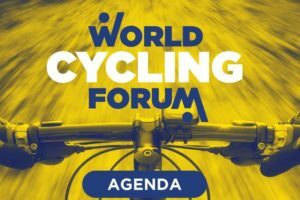 The Velo-city Mayors’ Panel Discussion on 12 June will involve the greatest number of mayors and vice mayors of metropolises– including Bratislava, Copenhagen, Stockholm, Munich and Nantes – of any meeting held in Vienna since Austria’s EU accession nearly 20 years ago. The politicians will discuss topical issues of contemporary, eco-friendly mobility in cities and urban agglomerations. Once more, Vienna will present itself as a platform for the exchange of know-how and implementation models. The Cycling Week and the Velo-city side events will offer all citizens and international guests of Vienna a multifaceted program composed of cycling tours, film nights, a bicycle picnic, a bicycle fashion show, bicycle races and many other events.